Last Friday, before driving Grace to school I decided to check the temperature outside and it went something like this. Me: Grace, Mommy is going to see how cold it is before we go to school. Weatherman: It is a blustery -14 degrees out there folks and with a -25 degree windchill. Weatherman: Remember folks you can get frostbite in under 15 minutes, so cover up. Me: Nope, nope, nope. Who in their right mind would go outside today. Weatherman: Schools are still in session. Me: Crap! Grace, time for the mittens, hat, and snow suit. Me: FML! That's it we're moving. As much as I would love to move somewhere warmer that is simply not going to happen, so for now we will continue to battle the brutal cold. 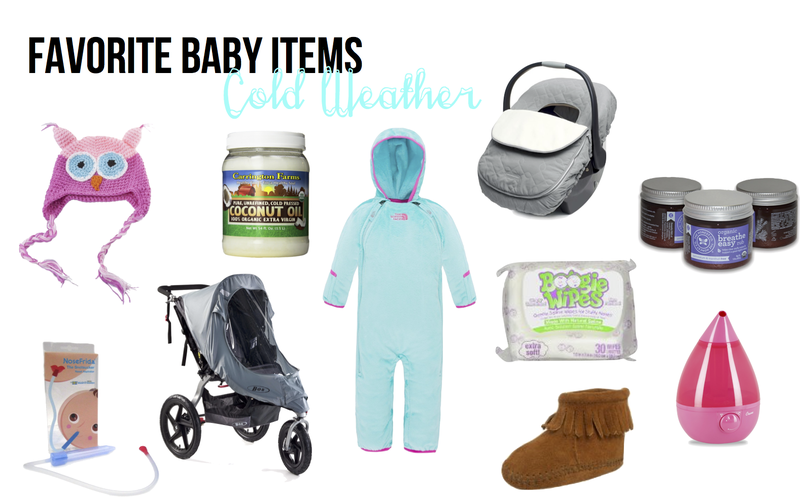 Here are some of my must have baby items when facing the cold weather. Owl Hat - Simply adorable! I love that the hat actually covers Grace's ears, and keeps her nice and warm on cold days. Coconut Oil - An all natural moisturizer that helps prevent delicate skin from getting dry and rough. It smells great too. Fleece Bunting - A fleece snowsuit keeps baby nice and warm and is carseat safe as well. Puffy coats are not safe to use in carseats because they prevent the straps from tightening. It also includes fold-over flaps to keep the feet and hands warm. Very important for Grace since she will not keep socks or mittens on. Car Seat Cover - A car seat cover the goes over the carseat is a must to keep the wind from hitting the baby. Make sure that the cover you buy only goes over the carseat and has nothing that goes under the baby as it may not be safe in a crash and voids the warranty of your carseat. Breathe Easy Rub - An absolute must for cold and flu season when your baby gets a stuffy nose. No need to worry about severe respiratory issues with this menthol and petrolatum free rub. When Grace is sick I love to put it on her feet and cover them with socks before bed. NoseFrida - At first glance this little device may look fairly disgusting. But, when your little pumpkin is struggling to breathe you will do anything to make them feel better. The NoseFrida works so much better than regular bulb syringes. Due to its design there is absolutely no way to get baby boogies anywhere near your mouth. After using it on Grace through tons of colds and even the flu I have never gotten sick from using it. Stroller Weather Shield - If you want to take baby on a walk when it is windy and cold outside a weather shield comes in handy. It fits over the seat and keeps the wind, snow and rain off of baby. It also keeps the interior of the stroller several degrees warmer. If walking on snowy sidewalks an all-terrain stroller, like the BOB Revolution Flex is a must. Boogie Wipes - These are the only thing Grace will let me wipe her nose with. They are covered in a saline solution that makes cleaning the nose easy. Minnetonka Moccasins - Sometimes socks alone just are not warm enough. These booties are adorable and keep Grace's feet nice and toasty. Cool Mist Humidifier - I use this whenever Grace has a stuffy nose. 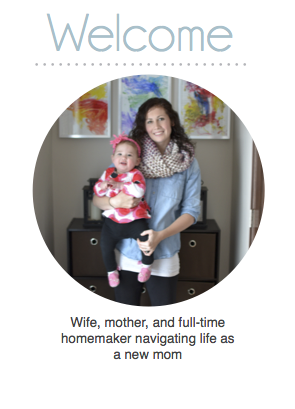 It works great and fits perfectly with her nursery decor. Just make sure to use distilled water or you will be scrubbing hard water build-up out of it for weeks.